Used in every industry from moving delicate linens to heavy metal parts. 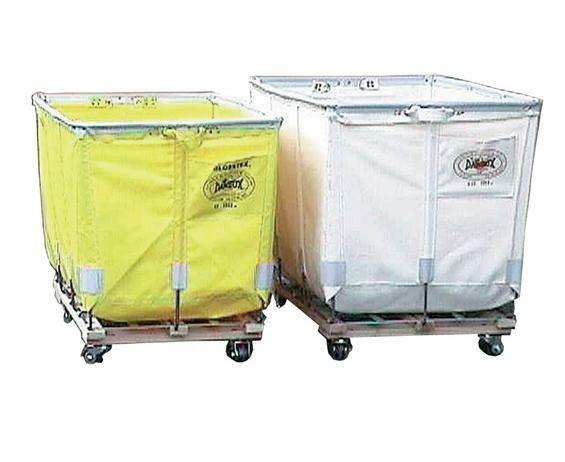 Heavy-duty construction features for superior durability. All Sizes are nominal and rounded to the full inch. All critical wear points including the top rim are reinforced for extra strength and durability. Comes standard with a convenient card pocket on one end and fabric handles on each end for ease of movement. Frames are made of high tensile strength, electro-welded spring steel for extra support. Frame bottoms are welded plated flat steel bolted to kiln dried hardwood runners and caster boards. Casters come equipped with thread guards. Casters available in a variety of patterns -- standard w/all swivel, or 2 rigid & 2 swivel. Diamond pattern available at no extra charge. Available in Plain White Canvas or Yellow Glosstex. Optional Glosstex colors available in Red, Green, Blue, Gray or White. Also available without casters to create an Extra Duty Basket. FOB Shipping Point. 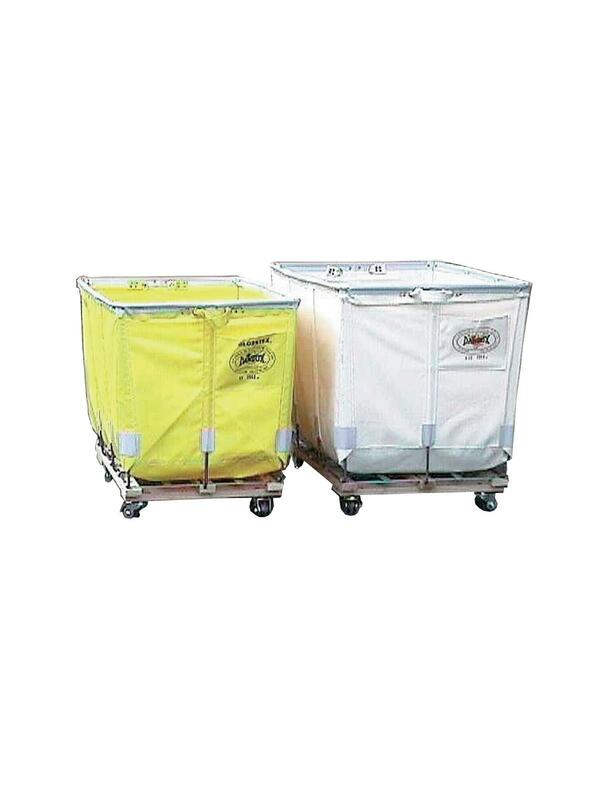 See Related Items tab for Extra Duty Basket (No Casters) and Extra Duty Truck - All Swivel Casters.